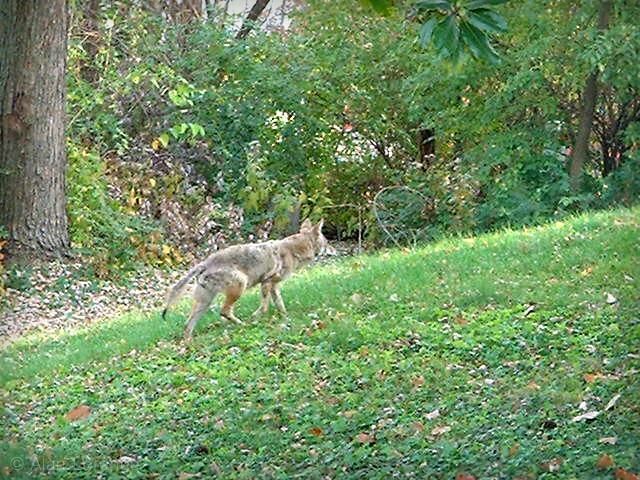 Back in 2001 when this photo was taken we had a big increase in coyote sightings. From "never" to probably once a week or so. One night we were awakened by a "pack" (could have been just two or three animals) yipping and howling on the driveway below the bedroom window. That is not a sound you forget! 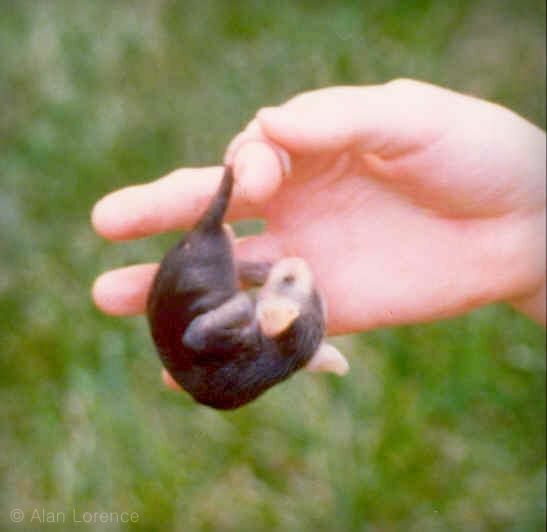 This was also the time when one of our soon-to-be-adopted strays was still living out in the yard. How he escaped the coyotes' notice I'll never know. 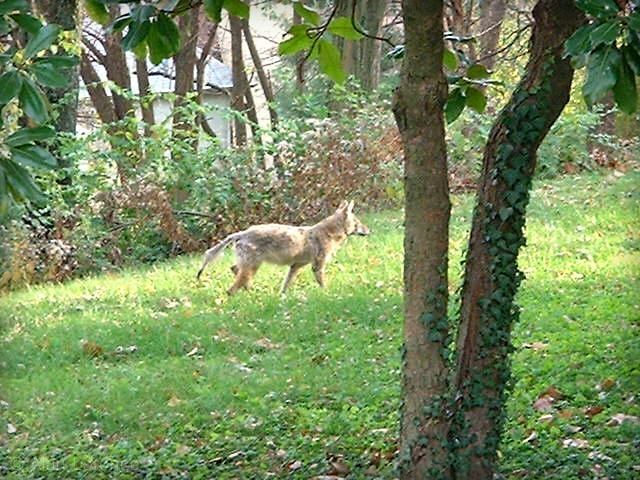 We haven't seen or heard a coyote for many years now... at least seven (if I had seen a coyote after starting this blog I would have written about it! ), so these terrible photos are all that's left. We hear coyotes every night. They roam between our neighborhood and the train tracks. When the train whistle goes off, the howling starts. A good reminder that we are not alone on this planet! 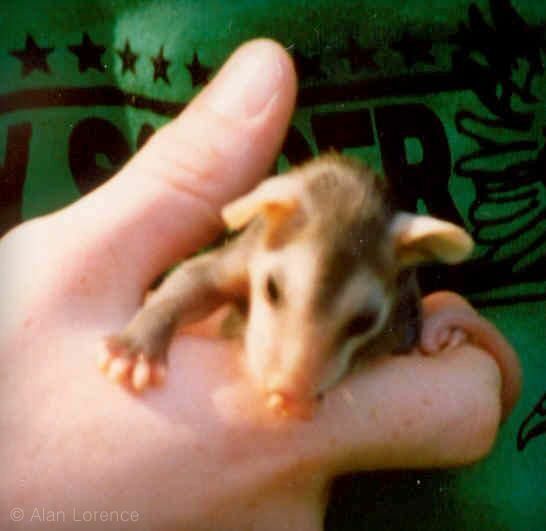 The possum is cute--happy your family got it to a rescue org. Good coyote shot, too. I should take my camera on dog walks, we see them often--there is at least one living behind my neighbor's house. I hope you can get out to the garden soon as well. We are having another heat wave, but this coming week looks promising for garden weather.